This is not a new topic here. I’ve posted several articles about this in the past. Just recently, as a matter of fact. As long as I can remember, I’ve struggled with time management. Habitually late, homework, essays, projects and reports all past due. I’ve always felt I had more things to balance than the average person. I don’t know why I thought I was so special, but the excuse worked for me at the time…it still does, sometimes. I took a Franklin-Covey time management course once. I’d say the earth has spun around the sun about 30 times since then. It was an excellent workshop and the tools I learned made a substantial difference. It was the best, most organized 9 months of my life. The program was very simple. You made a list of your priorities for the day and then within those items you prioritized each step. It’s a bit more complex than that, but it only took a few minutes of each day and I was insanely successful. All of this organizing was done using one of their beautiful and expensive day planners. Remember those? The large book of calendars where you actually had to physically write your daily goals. We used a handy instrument called a pen to write with. They still sell those old style planners and I’m certain many people still buy them. However, I now organize my days on my computer. So far this method has proven to be highly ineffective. I think where I’ve gone wrong is trying to schedule everything at specific times rather than just do them by order of priority. Exercising and writing novel should be my first priorities each day, followed by everything else. The only problem with that is losing the beautiful rainbow splashed across my desktop calendar. At this time I think it’s a sacrifice that must be made. 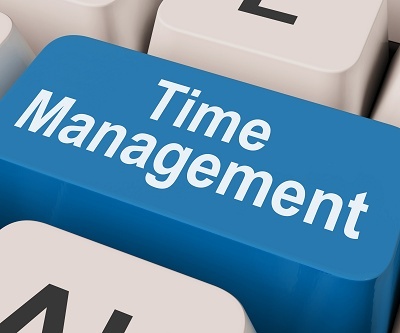 Any time management advice out there? Hey Bradley, I’m a pen carrying, paper wielding member of the “pen, paper and list” club myself. I’m useless at using the calendar function on my phone, but more often than not, its either not charged or mislaid, so that’s not going to work. I’d be the same as Kat, except I do the things that will take the longest first thing in the morning, or as early as I can; my energy reserves are normally gone by about 4pm. I prioritise what needs to be done,then round that off with what I would like to get done. After that, its what I actually like doing that comes next ; including blogging…. Now that is fun. Things like appointments have to be put on large pieces of paper and stuck somewhere beside the fridge so I don’t forget them!! i prioritize my day exactly like your course told you to, but i never took a course. i keep and add to my list all the time, but each day i get up, i look at the list and first do all the things that can be done quickly, and then things that must be done today, regardless of how fast i can do them. if i still have time, i do the remaining non time and longer tasks, but usually these get sent to the next day. however, still some days i only get done what absolutely needs done that day. also, i still use that old-fashioned, large paper calendar nailed to my kitchen wall with that antique tool, the pen, and write in the things that absolutely positively cannot ever be missed, like dr appts, days my kids will be other places, etc. i don’t trust my little postit note list for super important things such as these. if its on the calender, it can’t be missed. this has more or less worked for me for the last 7 yrs, and now i think if i changed it, i would forget everything and be completely lost! i stick to my rituals, to what works. Thank you, kat. Good feedback. I’ve been thinking about going back the old fashion route myself.